Prominent & Leading Manufacturer from Ahmedabad, we offer chemical powder bag filling machine, china clay packing machine, chemical minerals powder packing machine, digital powder packing machine, powder filling system and agro chemical powder packing machine. 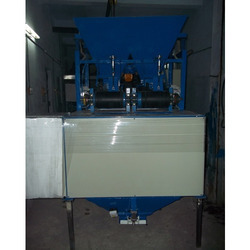 We are the leading and prominent Manufacturers, Exporters and Supplier of Chemical Powder Bag Filling Machine. 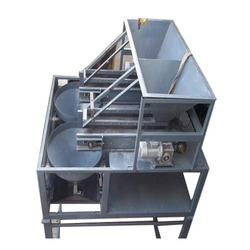 We design, develop, and manufacture China Clay Packing Machine as per the latest designs and patterns to suit the various industrial applications. We offer the high quality of automatic powder packing machine. 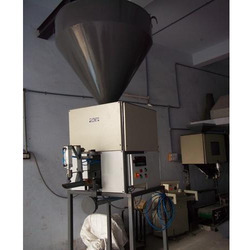 We are among the leading powder packing machine manufacturer in the industry. 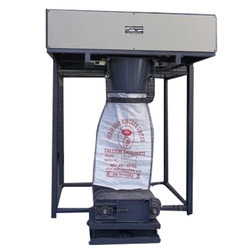 Our high quality bag filing machines are used to fill granules/powders in bags. We are also involved in the supply of powder Packing Machine. Our unique designs make them suitable for production in large scale packaging lines. We offer Digital Powder Packing Machine that are ideal to pack free flow powder items like atta, sattu, maida, Spice, besan, chemical powder ,lime stone powder, telc powder, dolomite powder and mining powder. These are semi automatic, mechanical operated, high speed machine to deliver complete sealing solutions. Our machines are easy to use and maintain by your operator or labour and are highly efficient.machine pack with accurate weighing with digital technology. The integrated processes of bag making, measuring filling, sealing cutting, counting and hot pressing codes can be done automatically. High-performance hot sealing structure makes packing neat and fine and gas tight. Special inner structure makes all operation could be done on the screen, which makes operating easier. We have attained a reputed position in the market for manufacturing, supplying a commendable range of Powder Filling System. Our professionals used premier-grade raw material in order to design the offered product in tandem with the international quality standards. 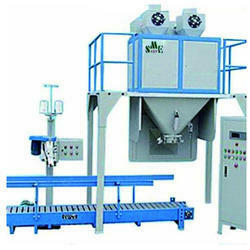 We are manufacturing all type powder bag filling machine. This machine can pack 20 kg to 50 kg bag packing. We have earned huge reputation among our clients for exporting and manufacturing wide variety of Sigma Brand Bag Packaging Machines. We offered machines are widely accepted for 25 to 50 kg packaging bags in various food industries for their high functional efficiency and ease of operation With government aproved stamping. Equipped with advanced control system, these machines are designed by adroit designers by using simple tools and techniques. Apart from this, our offered machines are available to customers at relatively cheap rates in tamper proof packaging. 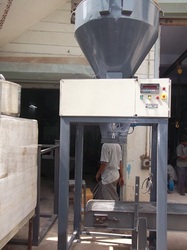 We looking for our product Powder Bag Filling Machine from all over Asia. 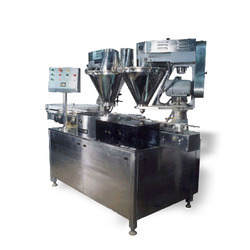 Our Team is expert in powder bag filling System. 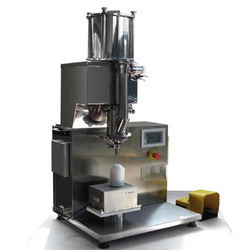 Our Semi Automatic Table Top Powder Filling Machine is specifically designed for filling granules, powder and free flow materials in food, pesticide, pharmaceutical and chemical industries. Finest quality materials and sophisticated techniques are being utilized for manufacturing these fillers in conformation with the quality norms laid down by the industry. The fillers are extensively recognized for their versatile filling functioning, sturdy structure, precise filling, energy efficiency and easy cleaning. The filler machine is equipped with advanced control panel to ensure faultless adjustability of tools for improvising the productivity.